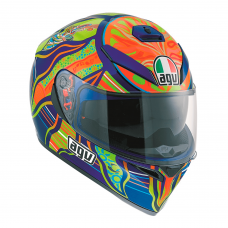 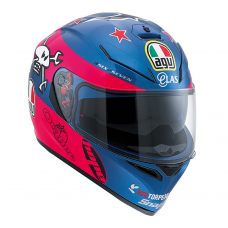 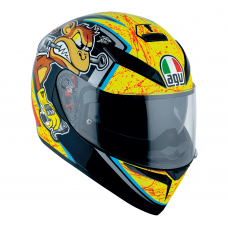 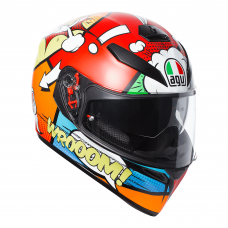 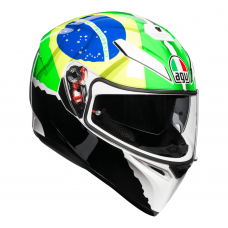 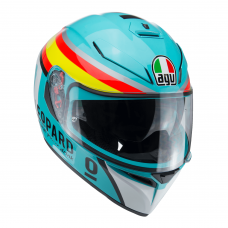 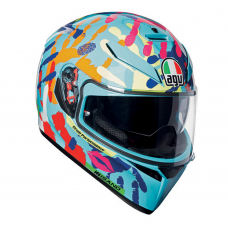 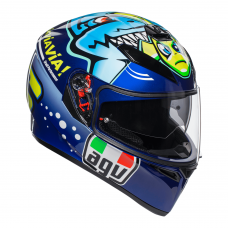 The AGV K-3 SV is truly a best seller – this full face motorcycle helmet was developed from the experience gained during the design process of creating the Pista GP, Corsa and the GT Veloce. 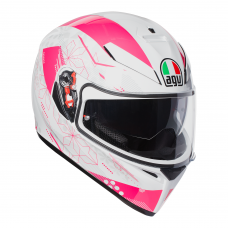 The K3 SV is a successor of the K3, and we’ve put even more features into it, adding an internal sun visor and SHARE Bluetooth compatibility. 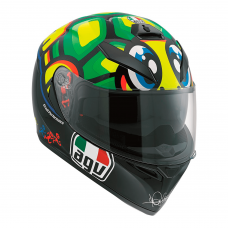 The shell is constructed from a High Resistant Thermoplastic Resin (HIR-TH) and the unique ventilation system provides maximum airflow through two front and side vents. 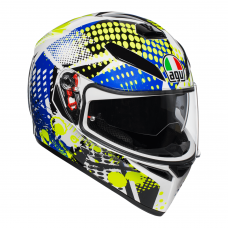 The sanitized Dry-Comfort internal cheek pad and interior pads are removable and washable, and the visor includes three custom settings according to helmet use, for Touring, Race or City riding and features the XQRS system for quick removal. 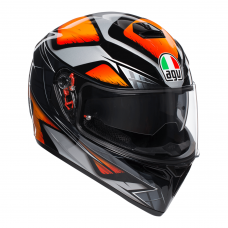 This is one of our benchmark products in terms of comfort, aerodynamics and safety.